Allium Cepa. They are more an article of diet. As to medical properties, they are the same as garlic, yet much milder. They act as a stimulant, promoting appetite, easing the bowels, and disposing to sleep. 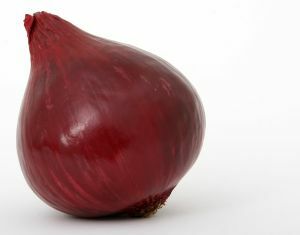 A roasted onion cut in two, is a domestic remedy for boils, as it hastens their breaking. They kill worms in children, if they drink the water fasting in which they have been steeped all night. Roasted and eaten with honey, or sugar and oil, they relieve an inveterate cough, and expectorate tough phlegm. The juice snuffed up the nostrils purges the head, and removes lethargy. It has been regarded as a preservative against infection, to eat onions fasting with bread and salt. An onion made hollow, fulled with treacle, and then roasted, and beaten together, is a sovereign salve for sores, or a putrifying ulcer. The juice of onions is good for scalds and burns, and used with vinegar, takes away blemishes, spots, and marks in the skin. Figs and onions beaten together, ripen and break imposthumes and other sores.